A 5-day camp in the summer for young people with 12,000 other teenagers! It’s a very popular annual activity for the young people who get to spend the week camping together, having fun, worshipping God and enjoying the British summer! 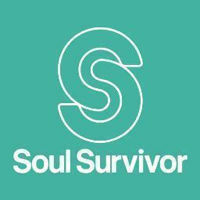 Soul Survivor can be attended by any young person in school Year 9 and above who may be interested in learning about Christianity, looking to encounter more of God or strengthen their faith. The week before Soul Survivor students and young adults in their 20s and 30s can attend a similar camp with a more relaxed atmosphere called Naturally Supernatural.